My short, sweet answer: Cambodians will empty more cups of coffee and enjoy faster Internet than ever! an amazing map that shows the growing technology community in the heart of Phnom Penh, the Cambodian capital city. Internet Service Provider (ISP) like SINET partners with Impact Hub Phnom Penh, a global network of collaborators focused on making a positive impact in Cambodia, the latest business incubator TekHub, and SmallWorld where Cambodian entrepreneurs and digital nomads can connect with the large communities. The tech entrepreneurs are so enthusiastic to build their startups to market here and hopefully in Southeast Asia. In January 2017, a new startup accelerator and incubator will be opened in the heart of Phnom Penh. Trybe is going to be a place where people make, do, and share. 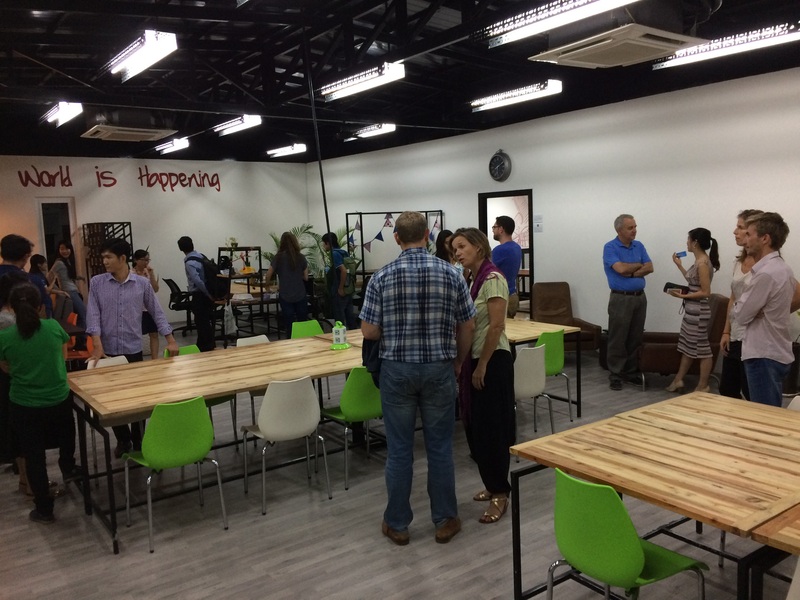 A maker-space, a co-working space, startup focal point all in one. With these startup communities continue to grow like mushrooms in rainy season, Phnom Penh is becoming a charming city of startups. A more premium class work space is just a few walks away from Wat Phnom: Rain Tree Development. “Nurturing entrepreneur spirits falls within our core values. We’ve been working with Impact Hub and Tekhub since the beginning,” Vireak Ouk, SINET’s Chief Operating Officer, told me recently.